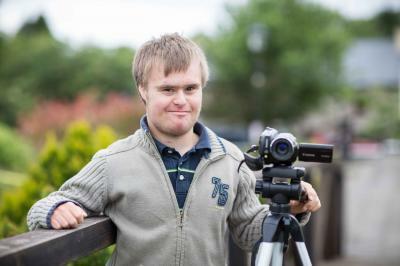 Fionn suffers with Down Syndrome and (with the help of his dad Johnathan) has set up his own production company Fionnathan. 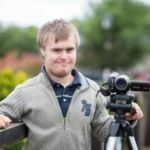 Fionn has been on a mission to interview as many people as he can and ask them ‘what do you love about your life, or what do you love about your job’. 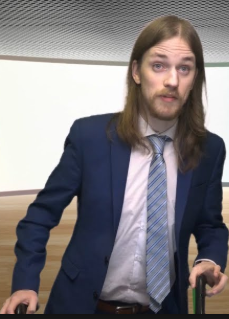 Fionn’s YouTube channel has more than 280,000 views, and has featured people like President Michael D Higgins. 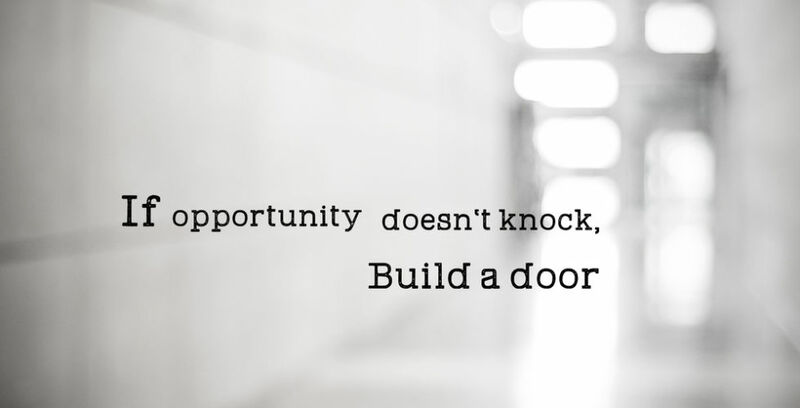 Diagnosed with a rare form of bone cancer (Ewing’s Sarcoma) at the age of 16, Nikki moved into business in 2013 by setting up a motivational speaking company The Motivation Factory. 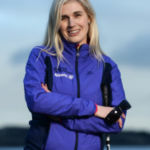 She also set up a fitness-based awareness campaign called Fighting Fit For Ewing’s where she regularly partakes in physical challenges to highlight the importance of exercise for rehabilitation. Sinead was born with achondroplasia and is now a writer, fashionista and academic. Sinead has a clear vision ‘to educate designers on how to be fully inclusive in fashion and beyond’. Aged 16, Sinead felt excluded from fashion conversations, so she decided to create her own blog saying “people didn’t take me seriously because of my physical aesthetic, so I started blogging”. Her blog is one of the most popular fashion blogs in the UK and Ireland. Caroline was born with ocular albinism and is legally blind. 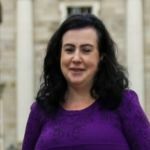 At the age of 28, she left her job in Accenture to launch the Aisling Foundation. In 2001, she travelled across India solo, raising €250k for The National Council for the Blind of Ireland and Sightsavers. The foundation has a single mission; ‘Making Ireland the most inclusive business community in the world’. 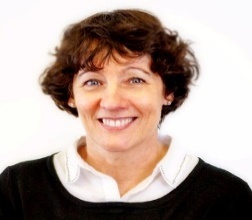 In recent years, Caroline has also founded Binc Global and Valuable. When Stephen was 17 he was camping with friends and fell from a hay bale, breaking his neck as a result. He was left paraplegic and was told he would spend the rest of his life in a wheelchair. When Stephen couldn’t find a wheelchair enabled taxi, he founded Wheelchair Taxi, an app for wheelchair users that matches taxis with wheelchair users. Stephen and Noelle Daly also co-founded Accessibility Mojo, a trip Advisor like website that rates the accessibility of businesses and buildings for people in wheelchairs. 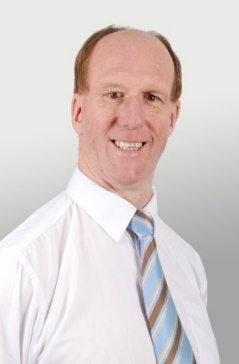 Sean was struck by a car when cycling in 1977 which left him paralysed. In 2007, he became the first TD in the history of the state to be elected as a wheelchair user. 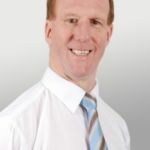 After leaving office, Sean has created his own vehicle business Disabled Driving Solutions, adapting vehicles to accommodate disabled drivers. He also runs his own consulting business. 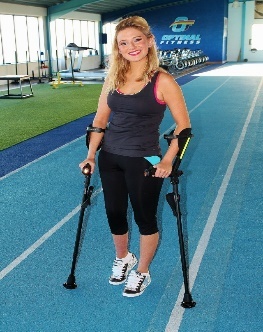 Noelle has been paralysed since her childhood and was one of the founders of Spinal Injuries Ireland. She created the not-for-profit from scratch which now supports thousands suffering with spinal injuries in Ireland. 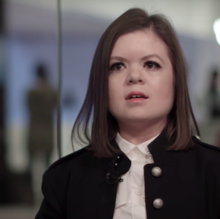 In 2016, she joined forces with follow wheelchair user Stephen Cluskey to create Accessibility Mojo. 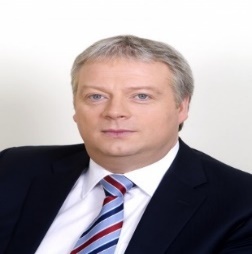 Gerry began working in Bank of Ireland over 30 years ago. Outside of his role, he has successfully championed accessibility issues around the world. 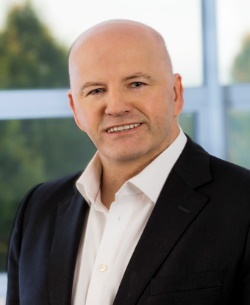 Gerry is now head of Bank of Ireland’s Accessibility and Inclusion program. 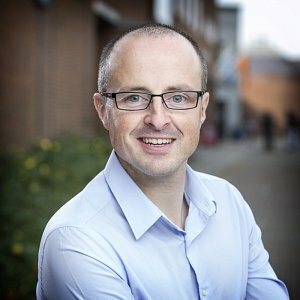 He has also set up his own consultancy firm called Feel The BenefIT and advises businesses on how to be a more inclusive and diverse organisations. Sean was visually impaired from birth as a result of congenital cataracts. In 2002, he founded Smarthomes, a home technology business. The company went on to win numerous awards for innovation. 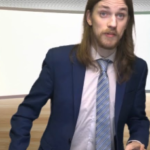 In 2008, Gallagher was announced as an investor on the RTÉ One version of Dragon’s Den. 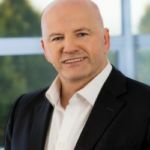 He later set up Sean Gallagher Business Matters, a consultancy firm based in Co Louth, and is a director in four other companies. 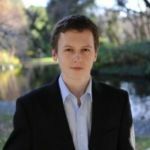 Adam, who suffers from autism, founded ASIAM, a one-stop shop for information relating to autism. The website educates, empowers and creates a community for people with or those affected by autism. The not-for-profit is now a team of six and advises companies including Supervalu on how to make their businesses more autism-friendly. Sinead has 5% vision due to a hereditary condition. 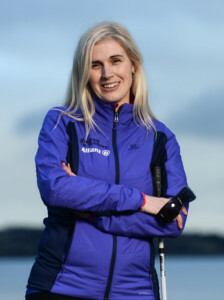 In 2016, she became the first visually impaired person to run the world marathon challenge; seven marathons, in seven countries, in seven days with the help of her guide John O’Regan. 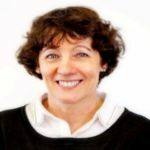 She created The Kane Ability which goes around to schools, colleges and businesses promoting people with disabilities and advocates for people with sight loss. During Ailbhe’s final year in National College of Art and Design, she had to do an assignment called ‘helping the less fortunate’. Ailbhe’s sister Izzy has Spina Bifida and Ailbhe used to draw and decorate her wheelchair. Ailbhe decided to produce covers of these drawing as works of art for the spokes of wheelchairs. 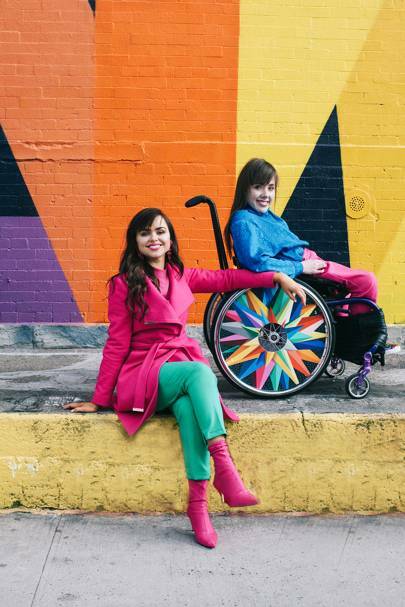 After leaving college, Ailbhe decided to create Izzy Wheels and started to sell the wheels online. The website says that it ‘transforms a medical device into a piece of fashion and self-expression’. 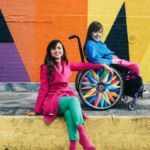 The sisters were approached by Instagram and Izzy Wheels became the first Irish company to take over Instagram’s News Feed. They have since featured in the prestigious Forbes 30 under 30 and presented at Forbes conference in London. Niamh spent more than ten years as a nurse before suffering a rare stroke. She was left with chronic fatigue and unable to return to work. 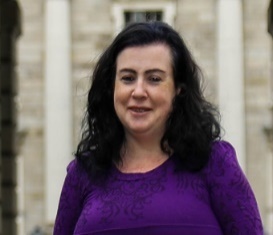 In 2015 Niamh developed Brainey, an app for people who suffer from chronic fatigue. It prevents full blown episodes of chronic fatigue through a series of alerts based on recognising the early warning stages. Matt, who suffers from cerebral palsy, checked with a hotel in London that it was wheelchair accessible, and got confirmation it was. However, on arrival he realised it wasn’t wheelchair accessible. Matt decided to set up Access Earth, an app and community where people with mobility issues can rate and comment on businesses around the world. James created UrAbility in 2013 to enable people with disabilities to succeed. They believe passionately in the proven potential of Assistive Technology (AT) to empower every student’s future. At UrAbility, they use their expertise to leverage assistive technology information, products and training to help students learn, master and thrive, whatever their abilities or their goal.